This class can be used to render polygons in HTML pages just using DIV elements. 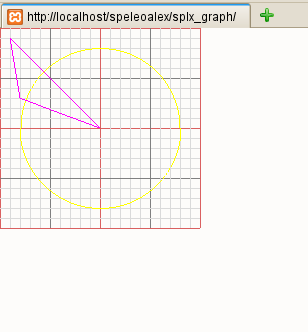 It can generate HTML for presenting different types of polygons in Web page given their shape and coordinates in pixels. Currently it can draw individual pixels, lines, rectangles, circles, or any other polygon given it coordinates of its edges. Prize: One copy of Delphi for PHP Originally Web pages were not meant for drawing vector graphics. Usually you would need to resort to bitmap graphic images to render diagrams with polygons and other vectorial shape types. Nowadays there are some browser extensions that support drawing vector graphics in a Web page but their availability depends on the installed browser. This class provides a alternative solution for drawing vector graphics that consists of using DIV tags laid out in a special way to make them appear as vectorial shapes. Alessandro Vernassa ... is available for providing paid consulting. Contact Alessandro Vernassa ... .